“Is dad having a seizure?” Nathan thought to himself when I suddenly stopped talking. “Did dad sprain his arm?” Joani thought to herself as she saw me looking as if I was in pain covering my face with my right arm. 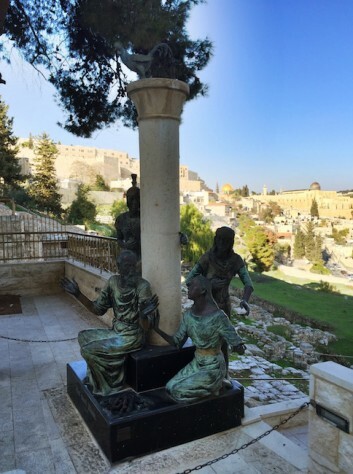 On top of the Temple Mount, Jonathan was touched by the Holy Spirit as he kept weeping. We were facing the Holy of Holies on Temple Mount in Jerusalem as I covered my face with my right sleeve trying to hide my tears and my uncontrollable sobbing. In front, the morning sun shone brightly on the Muslim mosque with a gold-covered dome. The spot where the mosque currently stands was the Holy of Holies of the Temple built by Solomon for God around 3000 years ago. The south side of the Temple Mount used to be an outer temple courtyard where people from all different nations can come and pray to God. And that’s where we were standing there. After the reading, I led the family in prayer. As I prayed from this passage, praying about how we as Gentile come to worship You, suddenly I began to cry. I did not know why. The urge to cry came suddenly. I tried very hard to control the feeling but I felt as if the Holy Spirit poured out on me and filled me so so fully that there was nothing I can do to fight against it. I tried to cover my face with my sleeve wanting to hide my tears but the crying kept going for 3-5 minutes. It was an unfamiliar feeling, an unexplainable feeling, but also an awestruck feeling of the reality of God within me. 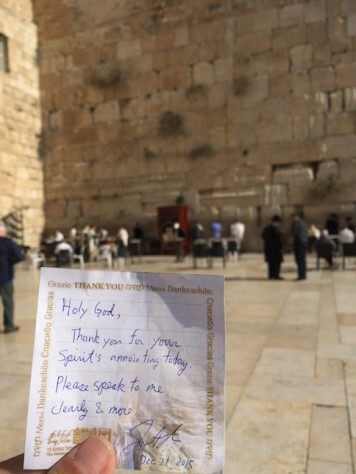 To commemorate the filling of the Holy Spirit that day on the Temple Mount, I wrote a prayer and put it in a crack on the Wailing Wall which is holding up the Temple Mount. 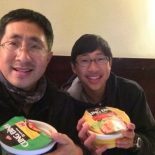 Later, Edwin, a good friend of the family who had shared his experience in Israel few years ago, shared that maybe God gave me a special sign because He wants me to know that I am special and that he will use me to bless others through this experience. 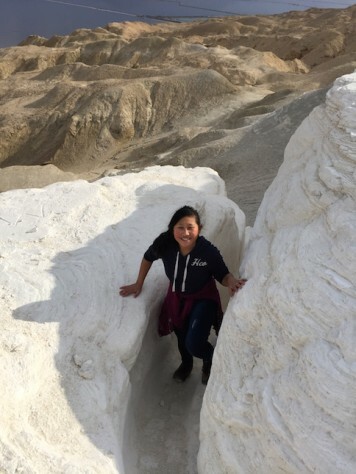 When I planned this one year Silk Road trip, I had marked our visit in Israel as the most important leg. I had shared that if we ended up going to only one country, it would be Israel. Today was only our first day in Jerusalem. After that morning, we couldn’t wait to see what else God will show us for our next 29 days in Israel! 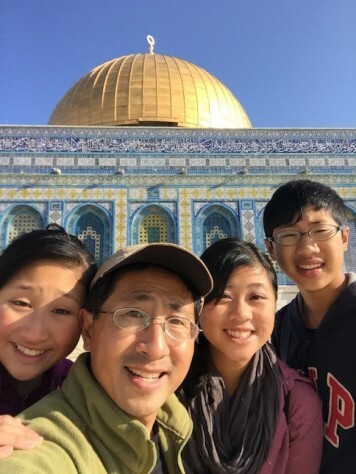 A good friend, Ed, and my father both shared that the best way to experience Jerusalem is to see the sites in chronological order according to the events written in the Bible. This way we can understand better the distance between each event and experience what Jesus had experienced leading up to his crucifixion and resurrection. 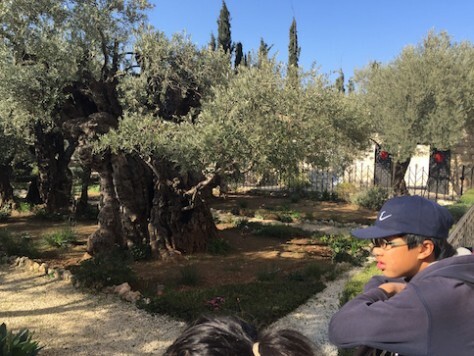 At the garden of Gethsemane, we can almost see Jesus kneeling there as He prayed among the thousands year old Olive trees. 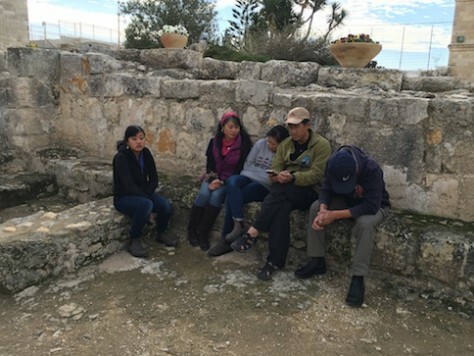 At the courtyard of the High Priest where Jesus was brought for interrogation, we were mesmerized by a status of Peter denying Christ 3 times before the rooster crowed. 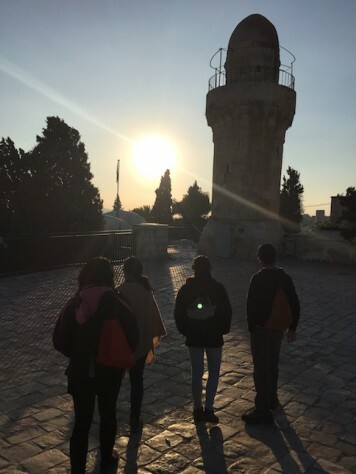 From sunrise to sunset, we walked all over the city of Jerusalem, walking through the Bible. “Jesus feels more real now,” Joani said after we followed the footsteps of Jesus that day. 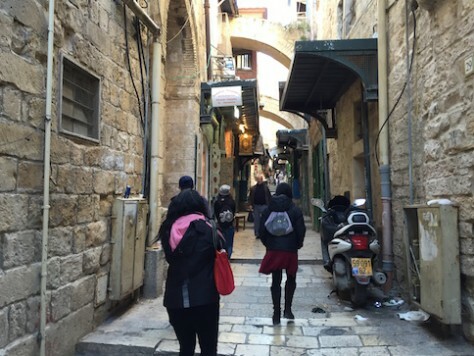 For all of us, it was a strange feeling to know that we could have been walking the same path where Jesus had walked 2000 years ago. At each place, we would take time to read the passage and to pray. It was a slow process so we were very far from our target of reaching the tomb of Jesus before the sun had set that day. But it didn’t matter because we were just so excited about our experiences that first day. We walked through the old city of Jerusalem along the route where Jesus was taken to Pilate for crucifixion. The second day, we continued where we had left off, which was to walk from the High Priest house to where Pilate condemned Jesus to the cross. From there, we followed the path of Jesus carrying the cross, Via Dolorosa, to “a place called Golgotha or Skull Hill (Matt 27:33)”. 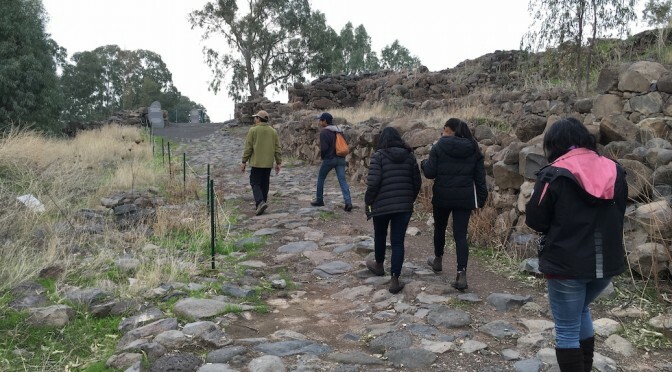 While walking, we noticed that the path first started downhill and then it changed to uphill right at the place when the soldier “forced (Simon from Cyrene) to carry the cross (Matt 27:32)” Having physically followed the path, many details in the Bible began to come alive and make sense. We walked down and up the narrow of Via Dolorosa, The Road of Agony, where Jesus carried the cross to be crucified. The site of the cross is now a chapel with ornate decorations, statues, and icons. 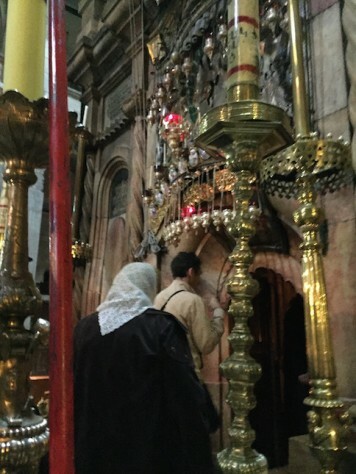 At the site of the crucifixion and tomb, an Orthodox Church, the Church of the Holy Sepulchre, was built over the entirety of both the hill and the tomb. The typical style of Orthodox Church is to have many statues and icons of Jesus, Mary, and saints. The insides are also decorated with incense urns, silver articles, mosaic, and stain glasses. The children had a difficult time trying to find the location of the cross and picture the hill it stood on as it has been turned into a ornately decorated chapel. Similarly, Jesus tomb was overshadowed by an elaborated marble chapel with spiraling candles, silver lined urns, and various icons. “It was a complete different world for me,” Nathan sighed. “When I first went in there, I was like, ‘What?’ The tomb was already under a huge dome and then you have another tomb over it. It was like tomb under tomb under tomb. I was very skeptical.” Nathan observed. The tomb of Jesus is contained in a chapel of marble under another big dome. “I don’t think God would have like it here. You see people kissing and basically worshiping the pictures and stuff…” Joani shared. “People pouring oil, putting souvenirs on the stone, rubbing their hair…” Olivia interrupted with incredulous voice. “But I think we should respect the Coptic and Orthodox Christians that come here. They came very far to here and they are very sincere. Their actions of coming here is also honored by God,” Nathan added. 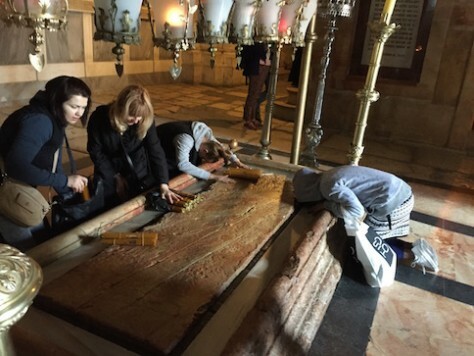 Orthodox Christians place candles, souvenirs and rubbed their hair on the stone where Jesus’ body was supposedly cleaned before burial. As the sun began to set, we headed towards the Garden Tomb, the site most Protestant Christians believe is where Jesus is actually crucified, instead of the Church of the Holy Sepulchre. When we arrived at the Garden Tomb, instead of stepping into another dark cathedral, we felt as if we were transported into a beautiful forest full of flowers. “Wow!” We all responded at once seeing this place. 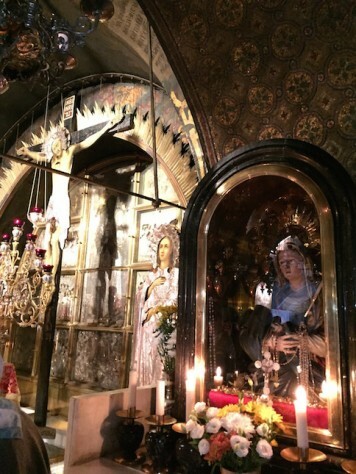 “Now I know I am a Protestant…to the core!” Joani laughed realizing how more comfortable she felt here in comparison to where we were at the Church of the Holy Sepulchre. 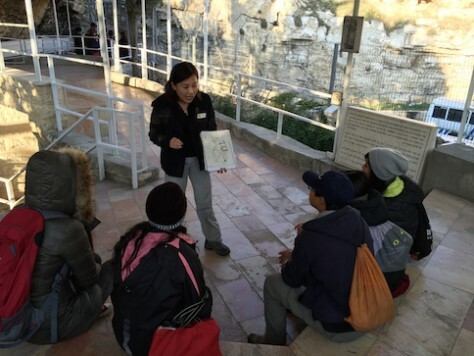 Sabrina, the Taiwanese tour guide at the Garden Tomb, was full of excitement as she shared about the site where Jesus was crucified and buried. 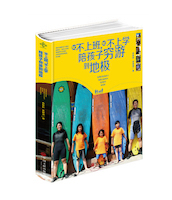 Soon, we were greeted by an energetic and joyful Taiwanese lady called Sabrina with a contagious smile. 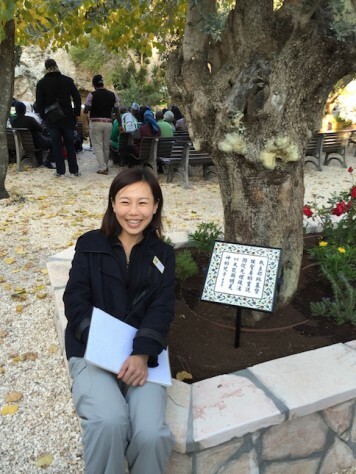 Sabrina, the Taiwanese tour guide at the Garden Tomb, proudly showed us the Chinese scripture sign that was put up only this morning for Chinese pilgrims. 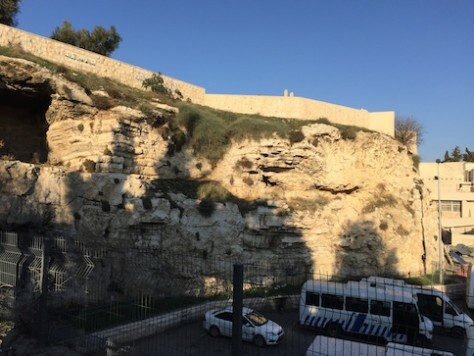 This is the skull hill where Protestant believe Jesus was crucified. 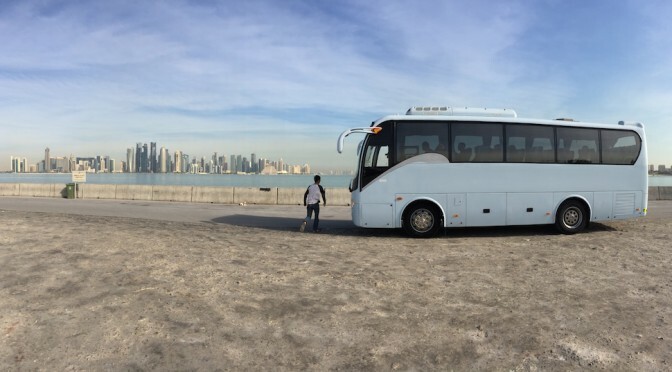 It is interesting to see that the site is currently the parking of a major bus station. She led us through the garden with various Bible scriptures signs to a viewing platform. In front of us was a small stony cliff that looked like a skull, just as what was described in the Bible as where Jesus was crucified. The hill was right next to the bus station parking lot and a major road that used to lead to Damascus. There she explained in detail of the crucifixion and shared the significance of Jesus death on the cross. 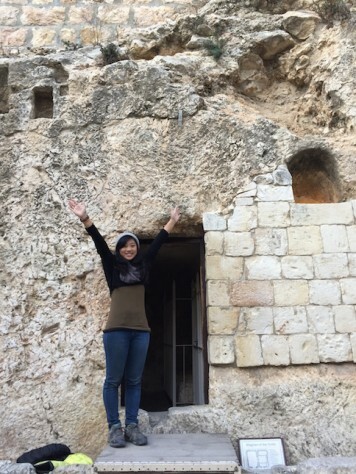 “He is risen!” Olivia shouted in front of the Garden Tomb. Later we all shared our highlight at the Garden Tomb. 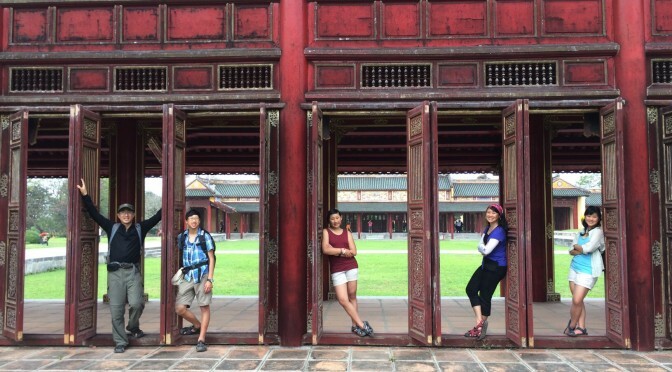 “It was really cool that we got to see the Chinese sign on its first day!” Olivia shared excitedly. The door of the Garden Tomb has a sign, “He is not Here – For He is Risen”. 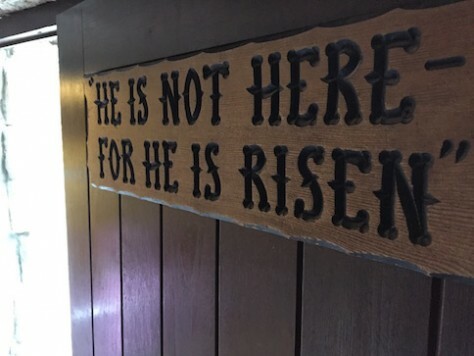 “The top highlight for me was when I saw the sign on the door of the tomb and it says, ‘He is not here. 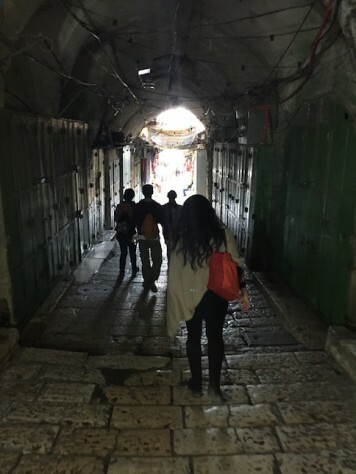 He has risen.’ These few days in Jerusalem, it was as if we were looking for Jesus at every place we went. Then coming to the Garden Tomb and to realize that it is true that ‘He isn’t here’. He’s everywhere! That just made it so real and that made me feel even closer to Jesus,” Olivia shared. “That’s Jesus. He likes a good joke, a good laugh!” Annie laughed. We saw and contemplated inside the Garden Tomb where Jesus’ body was placed. After three nights in Jerusalem, we took a bus to Bethlehem. 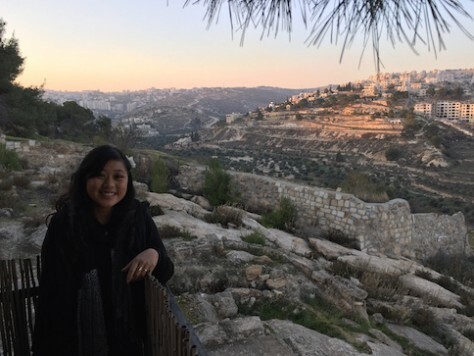 Our hearts were fluttering with goosebumps and thanksgiving, because after wandering for 193 days around the world, we would actually be arriving at the site of Jesus’s birthplace, the “O little town of Bethlehem”, to celebrate Christmas. 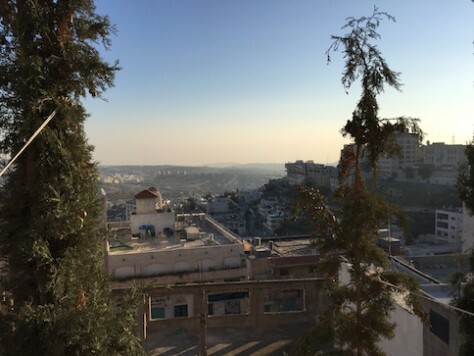 Bethlehem, sitting on top of a hill, is now a major city. Our first impression of Bethlehem was that it is no longer a small town but a large metropolitan sitting on top of a large hill. Instead of my usual imagery of Bethlehem nestled in a valley surrounded by hills with sheep, we actually travelled down steep slopes to reach the Shepherd’s Fields. Surprisingly, there was almost no decoration with Santa Claus, unlike what we are used to in the Western and Chinese world. It was then that we realized that when pilgrims like us travel half way around the world to Bethlehem, it is to celebrate Jesus’ birth, not Santa Claus which you can find at every street corner in our home country! We enjoyed the focus on Jesus for this special Christmas! 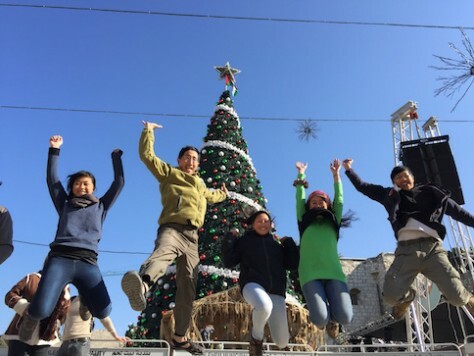 Christians from around the world come and celebrate Christmas together at Bethlehem. 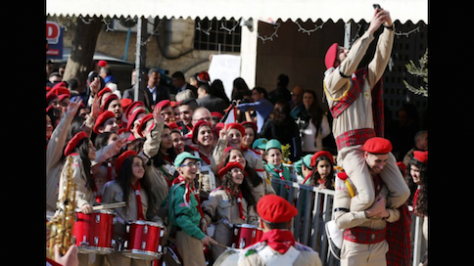 Christians from around the world come and celebrate Christmas together at Bethlehem. There is a traditional Christmas Parade on Dec 24th. We celebrated with Christians in Bethlehem and around the world of the Birth of Jesus Christ. The Orthodox Nativity Church, built over the supposed location of the “little manager”, was quite far from our imagination with again lots of statues, icons, and or ornate silver urns. Instead of the usual wooden straw-filled crib, on the marble floor is a 14 pointed silver star marking the location of the crib. Nearby was the Milk Grotto which marks the spot where Mary’s breast milk dropped on the ground turning the cave into white stones. Again, it was not what we had imagined for Christmas. 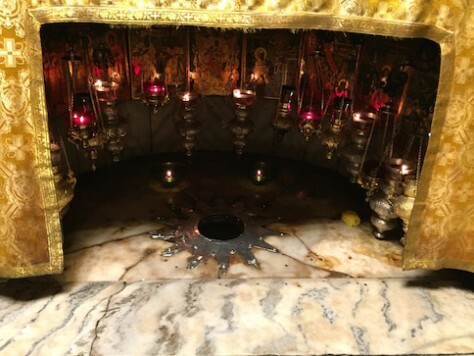 This is the supposed spot of Jesus’ manger, now a 14 pointed silver star on marble floor. 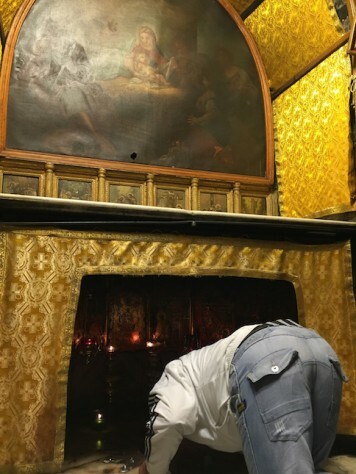 Orthodox pilgrims lined up here to worship and kiss the silver star where Jesus was born. 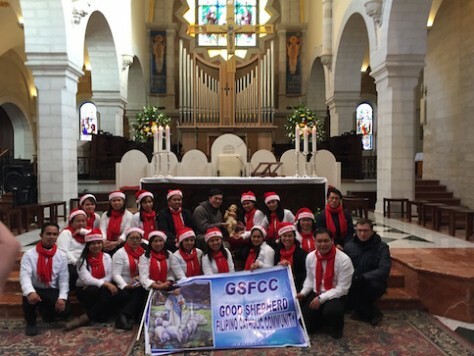 On Christmas Eve, we went to the Shepherd’s Field, where the angels announced the birth of Messiah to the shepherds. It is located downhill about 2k from the city center. “Come on in!” An Asian looking man beckoning with his hands for us to come into an small enclosed cave-like shelter. We walked inside the well-lit cave thinking it is an archeological excavation. Instead, a miracle happened. 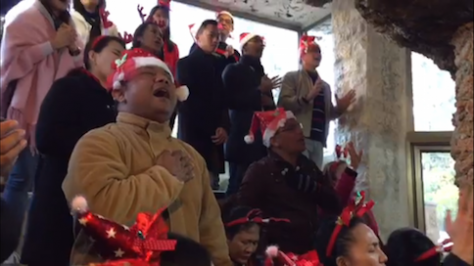 We were greeted by more than 20 Indonesian Christians wearing Santa Claus and reindeer hats! The pastor had a big smile and a even bigger vocal cord and he led us all in singing Christian carols after carols. Although they sang the songs in Indonesian, the songs were familiar tunes and we were able to join them in English. As they sang, some began to celebrate the birth of Jesus in tongues and everyone, including all of us, began to worship and praise with lifted hands remembering what Jesus did by humbling himself as a baby to save us. 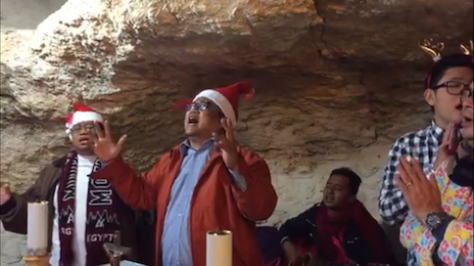 Worshipping Jesus at the Shepherd’s Field with Indonesian Christian in Bethlehem was one of our highlight in Israel. “Me too. When I was singing, I had goosebumps all over my body,” I agreed heartily. Everyone else also agreed with Olivia. Here at the Shepherd’s Field, there was no silver marker, no ornate decoration, just groups of pilgrims sitting, singing, and thinking about what happened here 2000 years ago. At the Shepherd’s Field, we were transported back 2000 years to when the Angel announce the birth of Jesus to the shepherds. At the Mt. 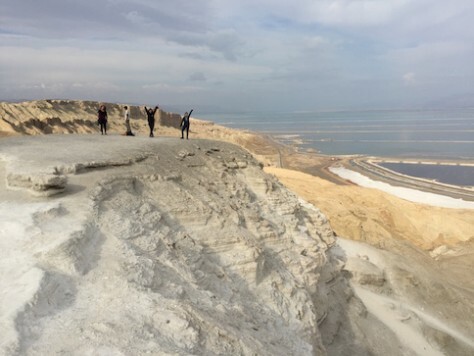 Sodom overlooking the Judean Desert and the Dead Sea, we prayed for revival in the land of Israel. 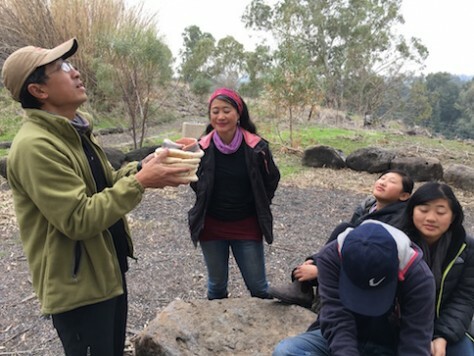 In similar fashion of reading, meditating, and praying the stories from the Bible at each location, we followed the footstep of Jesus at the Last Supper Room on Mt. Zion, Mt. Olive where Jesus ascended to heaven, Pool of Shiloach where Jesus healed the blind man, Jordan River where Jesus was baptized. We camped three nights on the shores of Sea of Galilee and biked 60 kilometers around the lake witnessing where Jesus had his ministry home base at Capernaum, feed 5000 with 2 fish and 5 loves and walked on water near the ruin city of Beisaida, preached the Beatitudes near Tabgha, allowed the legion of demons to possess the 2000 pigs down the cliff at Kursi, transfigured on top of Mr. Tabor, and grew up in the old city of Nazareth. 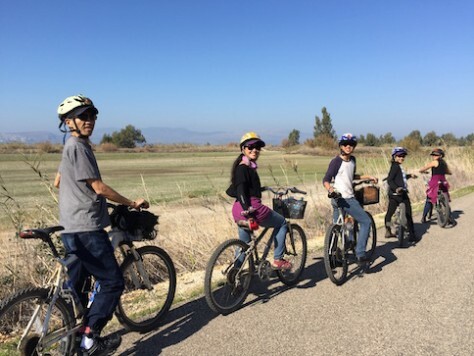 We followed Jesus’ footstep by biking around the Sea of Galilee. George, our good friend, joined us for this leg of our journey. 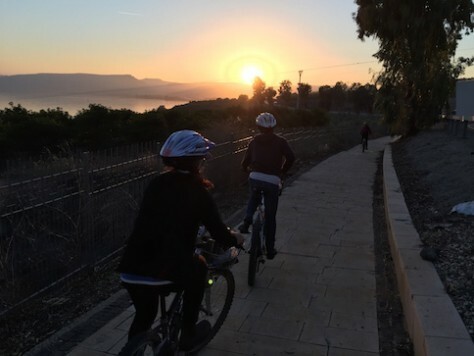 We followed Jesus’ footstep by biking around the Sea of Galilee from sunrise to sunset. This is near Capernaum where Jesus based his ministry. 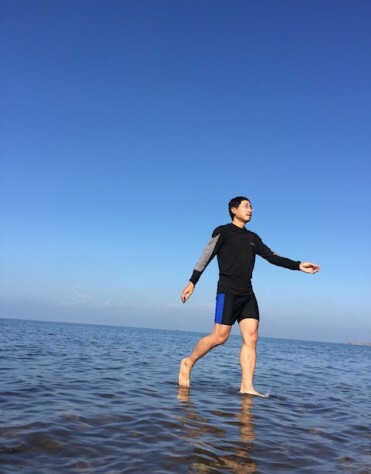 Camping along the shore of the Sea of Galilee, we re-enacted Jesus’ walking on water! 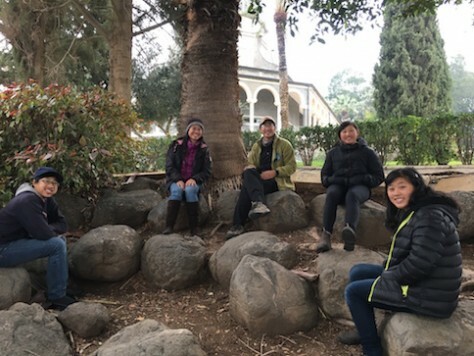 At the Mount of Beatitudes, we read the Sermon on the Mount passage together as a family and reflect upon the meanings. We remembered what Jesus did when He fed 5000 with 5 loaves and 2 fish near Beisaida by praying the same prayer. On top of Mt. Tabor, where Jesus was transfigured, we read passages from the New and Old Testaments about this historical mountain. 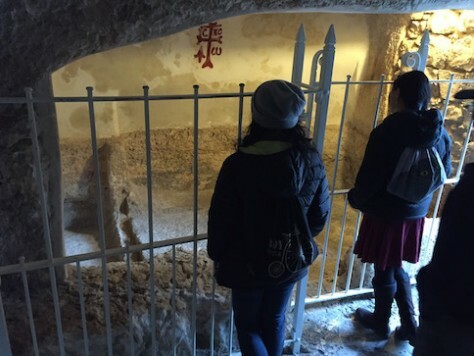 We also understood more clearly and visually the historical events in the Old Testament by walking the tomb of the Patriarch (Abraham, Isaac, Jacob) at Hebron, Mt. Zion where King David was buried, the old Jerusalem around the time of King David (City of David), the underground tunnel of the western wall of the Temple Mount, the Sodom mountain composed entirely of salt, the Judea Desert and the Dead Sea where David hid from Saul, and Old Jaffa where Jonah sailed off to flee from the command of God. One by one these stories from the Bible turned into history. 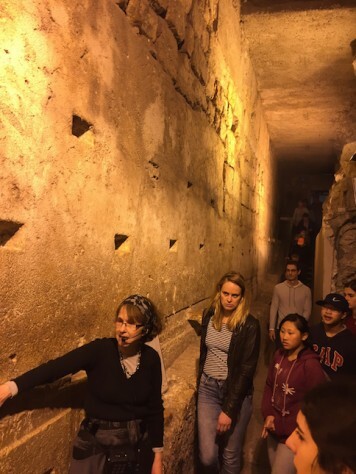 We walked along the West Wall of the Temple Mount under a tunnel where the foundation blocks are still intact from more than 2000 years ago. 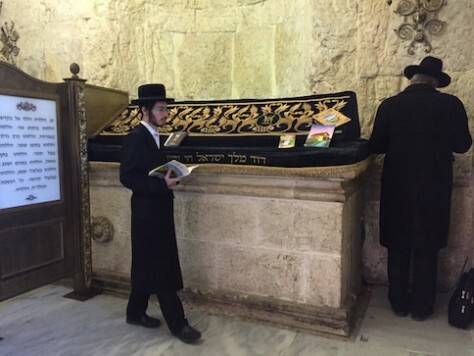 Orthodox Jews still pray regularly at the Tomb of David on Mt. Zion. At the Mt. 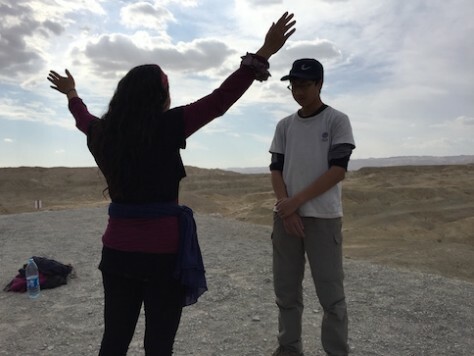 Sodom overlooking the Judean Desert and the Dead Sea, we prayed for revival in the land of Israel. The mountain here is composed 80% of salt. 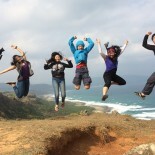 We were at Mt. Sodom overlooking the Dead Sea. The mountain here is composed of more than 80% salt. 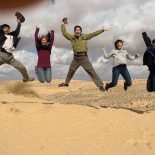 Indeed, there in Israel, we walked through the Bible…and we each met God face to face. Amen.